We are proud to announce that our Higher Apprentice, Rebecca Crook, is a finalist in the prestigious Apprenticeship Awards Cymru 2017 which will take place in the Celtic Manor Resort of 20th October. As a winner of the Torfaen Training Award, Higher Apprenticeship of The Year 2017, Rebecca was entered into the Apprenticeship Awards Cymru awards which is jointly organised by the Welsh Government and the National Training Federation for Wales. The coveted awards are sponsored by Pearson PLC and supported by media partner, Media Wales. 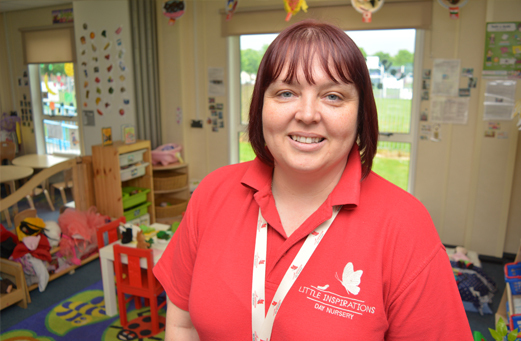 Rebecca who works at the Little Inspirations Nursery in Barry was very surprised to reach the final of this all Wales event, not realising that her learner journey was so unique and to such a high standard. 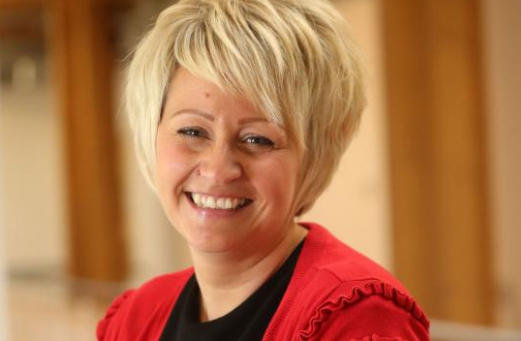 She will shortly be alongside thirty other star learners, employers and learning providers involved in the delivery of successful skills programmes across Wales have been shortlisted for the Apprenticeship Awards Cymru. The Apprenticeship Programme is funded by the Welsh Government with support from the European Social Fund and everyone at Torfaen Training would like to wish Rebecca all the very best for the final. Rebecca Crook, Higher Apprentice finalist at the Apprenticeship Awards Cymru 2017.